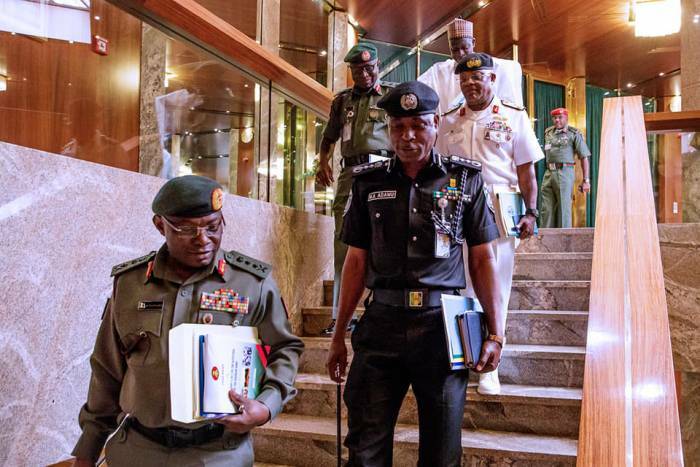 President Muhammadu Buhari has charged security agencies to put their acts together and deal ruthlessly with bandits, kidnappers and other security challenges in the country. 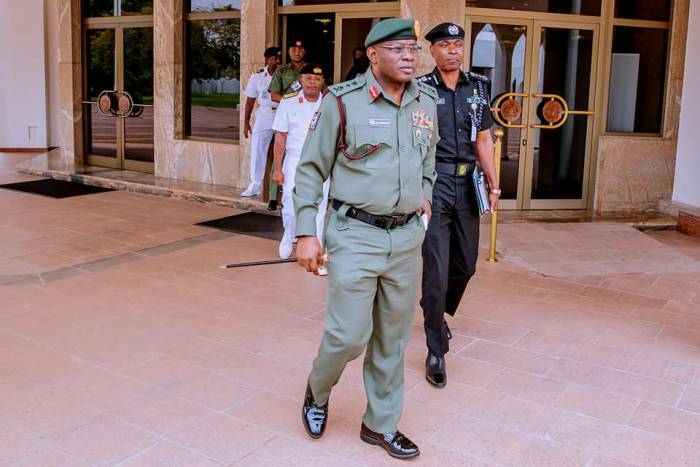 Naija News learnt that the Chief of Defence Staff, Gabriel Olonisakin, briefed State House correspondents at the end of about two hours meeting with Buhari at the Presidential Villa, Abuja. He said, “We have the marching order to deal with this issue immediately and ruthlessly and ensure that all those bandits are immediately dealt with and all those issues that are bordering with our security are properly addressed.” “And we are coming out with a revised strategy to handle those challenges,” he said. The Acting Inspector General of Police, Mohammed Adamu, also said that the frequent kidnapping on the Abuja-Kaduna road has been tackled. Others at the meeting included the National Security Adviser, Major Gen. Babagana Monguno, Director General of National Intelligence Agency, the Director General, Department of Security Service. Also at the meeting were the Minister of Interior, Lt. Gen. Abdulrahman Danbazzau and the Minister of Defence, Brigadier Gen. Mansur Dan-Ali. Here are some pictures from the meeting.